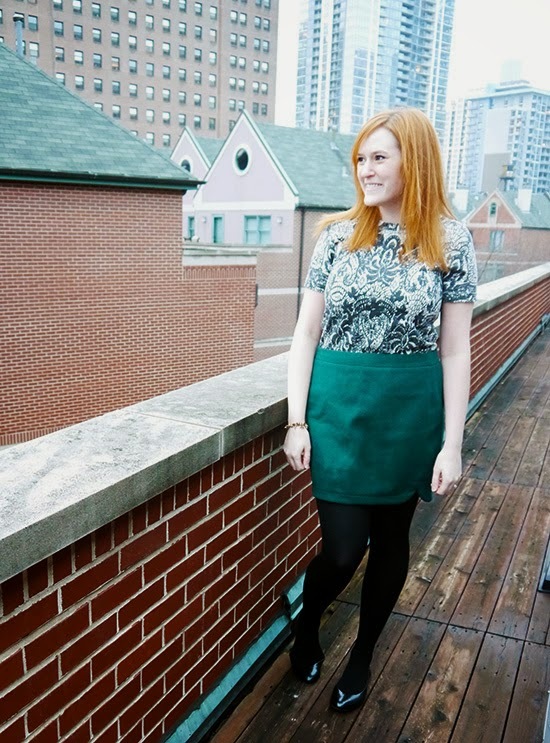 It's no secret that green looks AMAZING on you - love the top! Thanks for linking up with us today! I love your outfit...and what a cool spot for a photo shoot! Love that color!!! It's great for you! This top is beautiful, and looks amazing with your skirt! I love love love that color. It really makes your skin pop!!! Thank you for stopping by and linking up!! This green looks amazing on you. 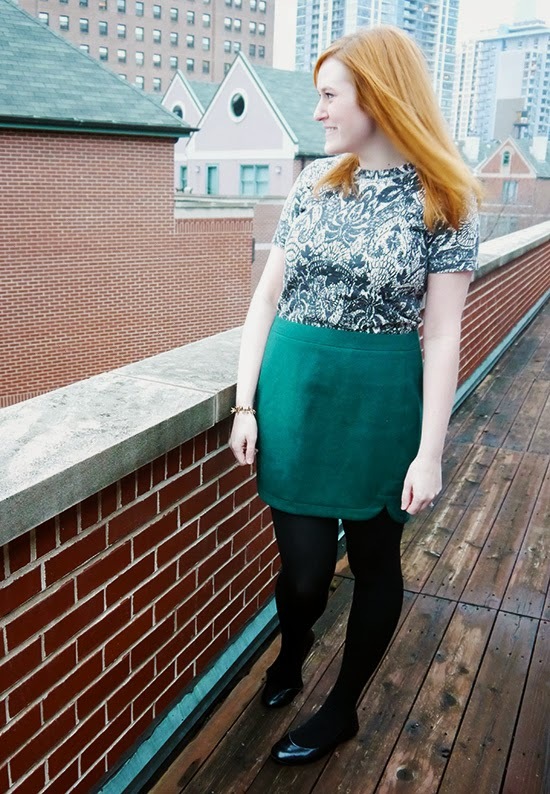 I'd wear this skirt all the time too :) thanks for linking up with Mix it Mondays! Thanks Whitney! It's my balcony. That really is a perfect skirt! So cute.